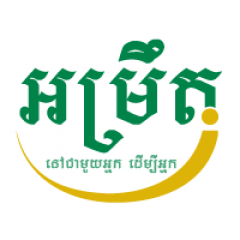 Amret, a leading Cambodian microfinance institution, contributes to the country’s economic and social development. We have 151 branches located in 25 cities and provinces across Cambodia, and employ around 4,000 staff. Exciting job opportunities are open to Cambodian and international candidates. In 2017 we expect to fill around 300 vacancies, and are seeking motivated and enthusiastic people who are interested in a career at Amret. We welcome and encourage applicants from all backgrounds regardless of age, race, religion, culture or physical ability. ##80, St.315, Boeung Kak 2, Khan Toul Kok, Phnom Penh,Cambodia.